Happy Monday everyone! I am usually not this cheery on a Monday morning, but how can you resist when the weather in Chicago has FINALLY changed to spring! Now that it is sunny and warm outside, it's time to shift wardrobes! Remember when your mom would look at you on your way out the door in middle school and yell, "You're wearing that!!?? March right back upstairs and try again!!" Well, it can be tricky figuring out what to wear to the office when the weather is so beautiful and warm. Obviously, you don't want to cover up to the point of a heat stroke, but you also probably shouldn't wear what you just wore to Coachella. Coworking spaces are great, because you can basically wear whatever you want! I like to think of them as smart casual just because I believe you never know who you'll run into. You definitely do not want to be rocking your stained college sweatshirt if that happens! One of my go-to transitional outfits right now is a midi skirt with ankle boots. Then in the summer switch to a pair of sandals or wedges! The midi skirt is great, because if you don't like tight pencil skirts you still get appropriate length, a looser fit and not to mention it is super on-trend this season. 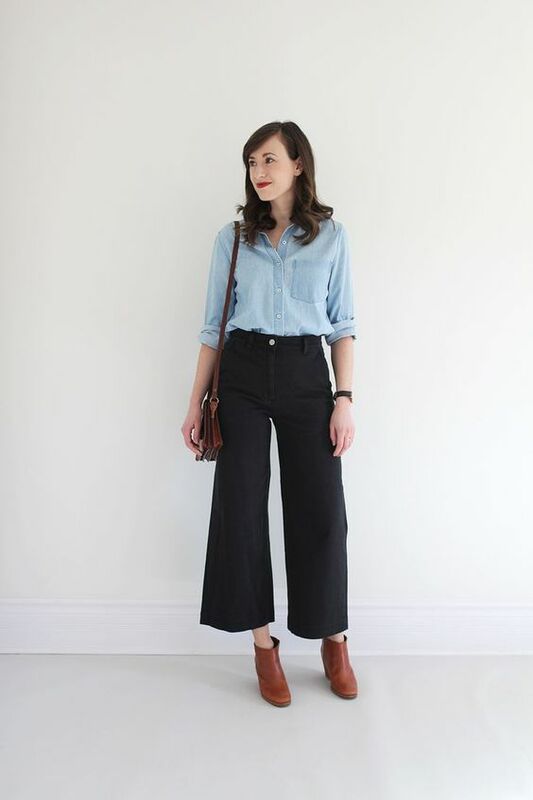 A great option if you are more of a pants person are tapered leg, cropped pants. Pair again with some ankle booties or the Everlane day heels (not sure how we ever lived without these, plus the come in fun colors!) and wallah, you have the perfect casual office outfit. And last, but not least (because I could really go on for hours about my favorite work outfits) are my personal favorite spring/summer '18 trend, the jumpsuit! Wide leg, cropped, culotte, you name it there is a jumpsuit in that cut! What is great about jumpsuits too, is that it's one piece. No need to stress about what top to wear or buying something to go with your pants. Men, you do not really need to change what you wear, but obviously flip flops are a big no, no! I cannot tell you how many times I have seen this and just cringe. If you are looking for some amazing summer pants and tops that fit your body type/shape, check out Bonobos. Once you go Bonobos there is no going back (just a warning)! Ladies, I hope this is helpful if you are struggling with what to wear now that it is warm out! If you have any other amazing work outfit ideas be sure to comment below!